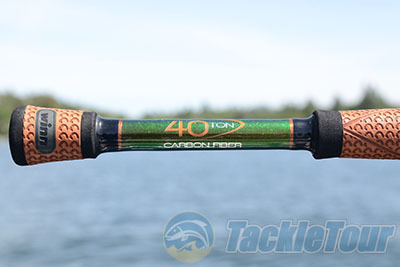 Introduction: Castaway was one of the early pioneers in the custom rod building industry, and though they may not have made as many headlines as of recent, the company is definitely looking to change that with their newest rod additions. Castaway already makes a number of high end rods but this season their new Invicta Series is designed to take the brand to a whole new level. Designed with 40 ton carbon these are the same rods that Pro Anglers Russ Lane and Toss Faircloth employ on the Elite Series tour. 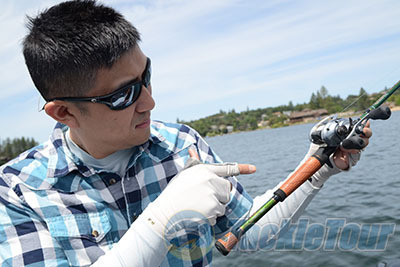 Impressions: The first thing anglers will probably notice about the Invicta HG 40 casting rods is the use of custom Winn grips, the same grips that are used on golf clubs to deliver a comfortable tacky grip. The next thing they notice will probably be the unique color scheme employed on the rod, orange grips and graphics paired with a blank that is painted green. Under this green finish is a 40-ton, 12-toe carbon fiber blank that is constructed with carbon intruded resins for enhanced strength and durability. The Invicta rods come armed with Batson hardware including the ALPS TexTouch double finger blank exposed reel seat and ALPS Bronze SS316 Guides with Zirconium inserts, which match the orange threading and graphics. 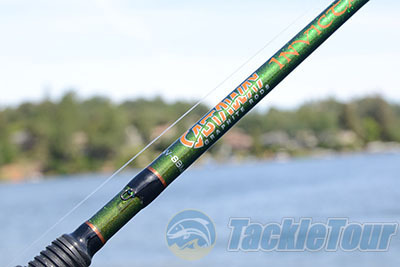 In this lineup Castaway has introduced a complete range of application specific rods for both freshwater and saltwater applications. In terms of freshwater rods there are seven casting rods covering applications ranging from flipping to topwater, and there is one spinning rod in the lineup designed specifically for fishing drop shot rigs. 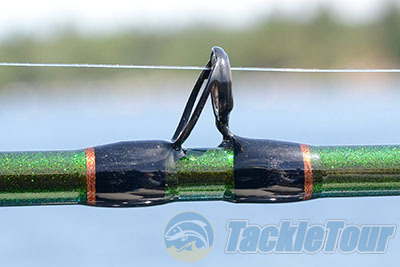 We have reviewed so many crankbait and worming rods of recent that we decided to do something different and take a look at the Invicta spinnerbait rod. 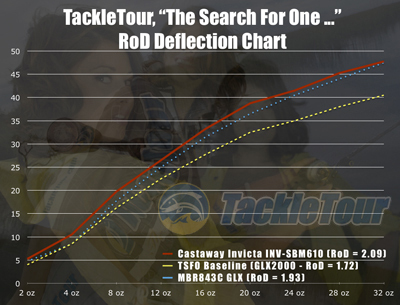 The Castaway Invicta spinnerbait rod (INV-7MH) is 7� in length and features a moderate action with medium power. It is designed to effectively fish small to medium sized spinnerbaits ranging in weight from 3/8 to 3/4 ounces.